SILVER PLATED. 18" ROUND BY 4" TALL. THREE LEGS. 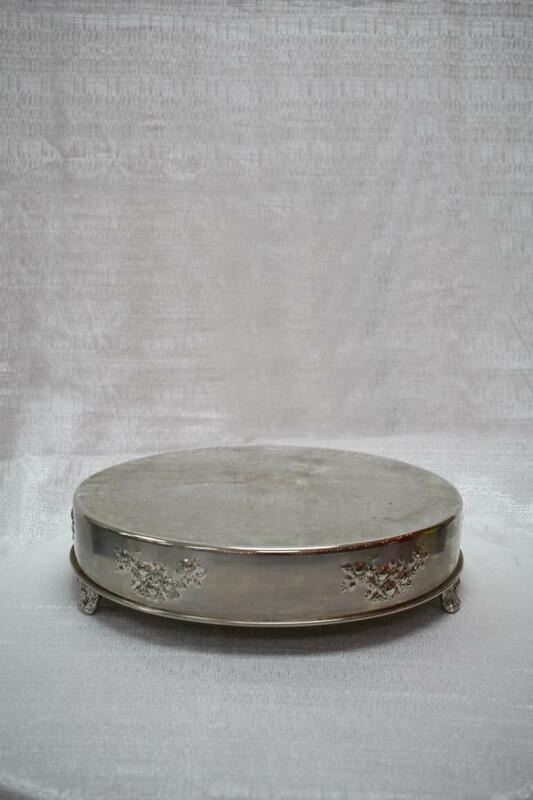 * Please call us with any questions about our cake stand 18 inch round silver serving Cary NC and Raleigh NC, Chapel Hill, Pittsboro, RTC & Raleigh-Durham in North Carolina.